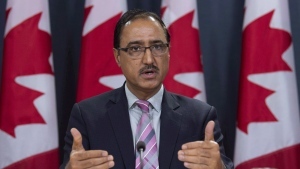 OTTAWA -- While rebuking U.S. President Donald Trump's push to revive the coal power industry, Environment Minister Catherine McKenna said the federal government has no plans to shutter Canada's coal exports. 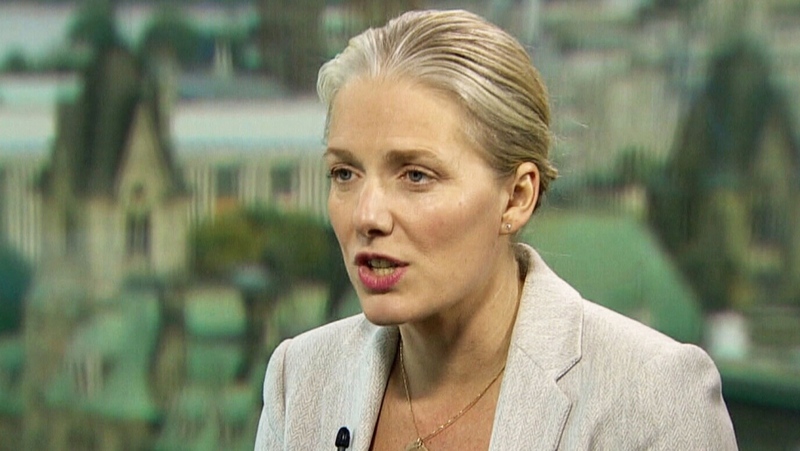 "They have got it wrong," McKenna said in an interview with Evan Solomon, host of CTV's Question Period, of America’s commitment to fossil fuels. "We share a border with the U.S. but air doesn’t know any boundaries, water doesn’t know any boundaries," she said. Though, McKenna -- fresh off her trip to COP23 where she focused her attention on extolling the virtues of decommissioning coal -- said Canada has no plans to ban coal exports to the U.S.
"We're not banning exports of coal, but we know we need to move to a cleaner future," McKenna said, highlighting that most of Canada's coal exports is in metallurgical coal used in steel, and not the thermal coal used to generate energy. While in Bonn, Germany, for the latest round of UN climate change talks, Canada joined forces with the U.K to push 18 other countries to dissuade their continued use of coal as a power source. There, McKenna also made headlines for taking to Twitter to champion alternatives to coal at the same time as Trump’s special assistant on energy and the environment, George David Banks, was holding an event promoting the virtues of coal power, natural gas, and technology to reduce environmental impacts of fossil fuels, The Canadian Press reported. Canada's pledge to phase out coal-fired electricity by 2030 appears to be increasingly at odds with the direction the U.S. is headed, and is in stark contrast to U.S. Environmental Protection Agency head Scott Pruitt’s proclamation that "the war on coal is over." In Canada, four provinces still depend on coal for electricity: Nova Scotia, New Brunswick, Saskatchewan, and Alberta. McKenna said she is working with these provinces to wean them off, though there are still approximately 42,000 Canadian jobs in the coal industry. The federal position on coal and climate change is also at odds with newly landed U.S. Ambassador Kelly Craft’s belief that the arguments on both sides of climate science are respectable. On this point, McKenna said that while she welcomes Craft -- who is married to a coal magnate -- the two will have to agree to disagree. "We know [climate change is] man-made, we know coal is a huge factor. Coal is the most polluting fossil fuel we have, we need to move past coal," McKenna said. "You just have to look at images from India, from China, you can see those cities are literally being choked by coal. Those are people dying." Should Canada continue to export coal?